Did you know that in Australia, there are more pets than people? Pets are very important to people in today’s society. Among other things, they provide companionship and positively influence the lives of their owners and families. When it comes to dogs, Australians love their canine friends. In fact, 39% of households across the nation own a dog. About 20% of dog owners take their pets with them on holidays, and this percentage is on the rise. If people take their dogs to parks, the beach, or on day trips, why not for overnight stays away from home? It also means there is no need to use pet-minding services or expensive boarding facilities when pet owners want to go away. 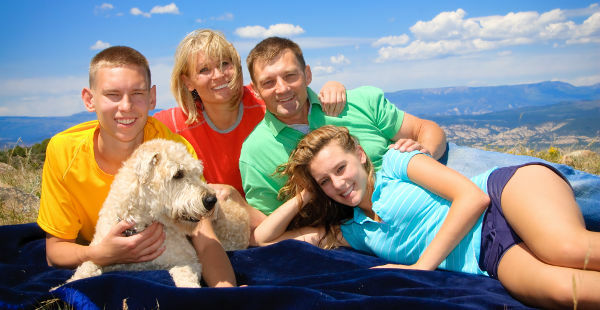 One of the issues when going on holidays with a pet is finding suitable dog-friendly accommodation. Properties that advertise themselves as being dog-friendly can actually be quite varied in the facilities provided and the rules that apply to pets staying with their owners. It is important to keep in mind that accommodation that is specified as being dog-friendly doesn’t automatically permit dog to come inside and snuggle up in bed with their owners. Not everyone sleeps with their pets, and some don’t even let their pets inside the family home, so accommodation that has strict conditions may actually be perfectly suitable for some holidaymakers. Around 24% of pet dogs are exclusively kept outside the family home. Therefore accommodation which permits dogs, but only if they are kept outside, can offer a very suitable place to stay for a significant number of dog owners. These properties may provide pets with a kennel in a sheltered outdoor area and a securely fenced area for dogs to run around within. 65% of pet dogs spend time both inside and outside the family home. Some of those dogs may be permitted inside the home only under supervision and may actually still sleep outside. There are a significant number of holiday properties that welcome pets inside, but only in designated areas, such as within rooms that have hard floors. 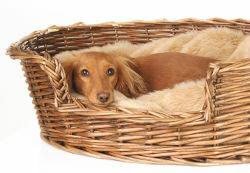 They may also have restrictions with regards to dogs sleeping on soft furnishings or on beds. For a dog that spends time both inside and outside, these restrictions may be quite suitable. About 11% of pet dogs are always kept indoors. In such cases, it is important to find dog-friendly accommodation that not only allows pets to come inside, but also to sleep inside. Such accommodation may either provide a designated area inside where the dog can sleep, a dog bed, or even allow dogs to sleep on human beds with their owners. 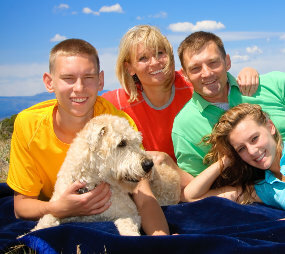 A number of caravan parks or holiday parks are dog-friendly. However, restrictions can vary significantly. Managers need to balance the needs and comfort of those guests with pets and those without, particularly due to the size of some of those parks and the large number of guests. Some parks may only permit dogs with site bookings, so guests would need to keep their pet on a leash within the area around their caravan or tent. A few parks have dedicated dog-friendly cabins which not only permit pets inside, but also provide a private fenced area around the cabin for dogs to run around in. It can be challenging to find a hotel or motel that allows you to bring your dog inside with you, however some managers have set aside rooms which are dedicated for those with pets. If you are happy for your canine companion to stay outside, a number of motels can cater for pets, with sheltered and secure outdoor areas, although owners may need to bring their own pet bedding. Bed & breakfasts can be quite welcoming of people travelling with dogs as often their managers have pets of their own living on the property with them. As most dogs are fairly social, it might be quite a treat for your pet to have a new companion to interact with during their stay. While you may develop a friendship with your B&B host, your pet may end up bonding closely with the resident canines. Self-contained accommodation, such as holiday homes and cottages, usually have plenty of room inside and outside, making them an ideal choice for those travelling with dogs. Many holiday homes are welcoming of those with pets, and usually they have a securely fenced yard so your pet can wander around the garden safely. Some properties also allow pets inside, however you should always confirm if there are any out of bounds areas or rules that need to be adhered to. Keep in mind that dog-friendly doesn’t always mean dogs can come inside, sleep on furniture, or be provided with complimentary bedding and treats. There may be a number of conditions that a property owner puts in place for the comfort and benefit of current and future guests, as well as other people in the vicinity. Different dogs and their owners have different needs, so not every property listed as being dog-friendly is suitable for you and your pet. That’s why it is important to contact accommodation managers prior to booking to discuss you and your pet’s specific requirements. 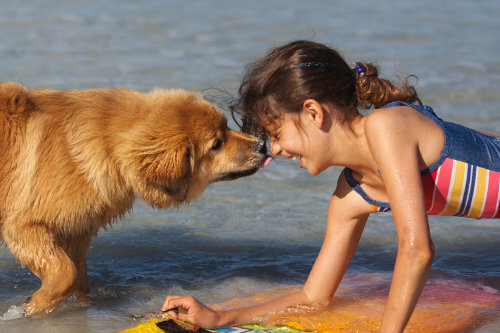 Why not share your holiday with your dog instead of leaving them at home? In the past, dog owners who wanted to go on holidays had little choice but to either leave their pet at home with someone, take their dog to a boarding kennel, or leave it at a friend’s house. But did you know that many dogs enjoy holidays too, sometimes even more than their owners? So why not take your pet with you? These days, accommodation providers have become very sensitive to the needs of those who wish to bring their pet with them. Some have provided designated rooms or cottages where owners can stay inside with their dog, while others have ensured that their property is securely fenced areas to safely contain pets. Some accommodation managers may not let your pet come inside, but they may provide a kennel on the verandah for your pet to sleep in. Around 150 places to stay, including dog-friendly caravan parks, bed & breakfasts, hotels/motels and self-contained accommodation such as cottages, holiday homes and apartments. What is the most dog-friendly area of Victoria? 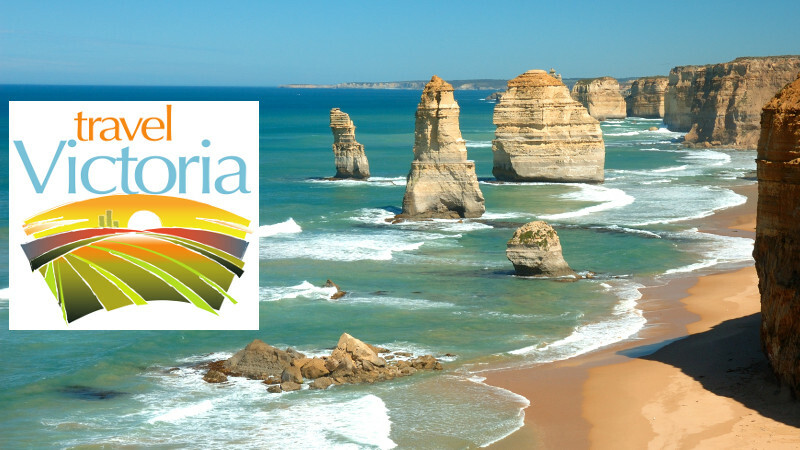 Based on the number of accommodation listings on the Dogs On Holidays website, that region is Gippsland. Visitors to Gippsland simply love the pristine beaches – some are so secluded, you literally have them all to yourself. Then there’s the wide open spaces, mountains, forests and rivers – all things that most dogs will love when holidaying with their owners. That’s why there’s plenty of dog-friendly accommodation for both you and your pet when staying in Gippsland. In which town or city in Victoria can you find the highest concentration of dog-friendly places to stay? Tallying up the accommodation listings on the Dogs On Holidays website reveals that Rye, on the Mornington Peninsula, is where you and your dog will be spoilt for choice. At Rye, there are beaches where dogs are permitted to run around leash-free year-round at certain times of the day, ensuring your dog can have plenty of fun and exercise during your beach holiday. So with many accommodation providers now catering for pets, there’s now no excuse to leave your dog at home when you next have a on holiday! 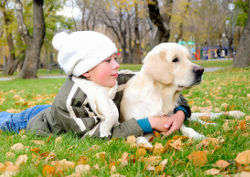 Dogs enjoy holidays too, so take your pet with you!